There are 2 cat videos tagged with door. If cats were on a graph, their attitude would be directly proportional to their intelligence. I’m telling you, they enjoy toying with us. 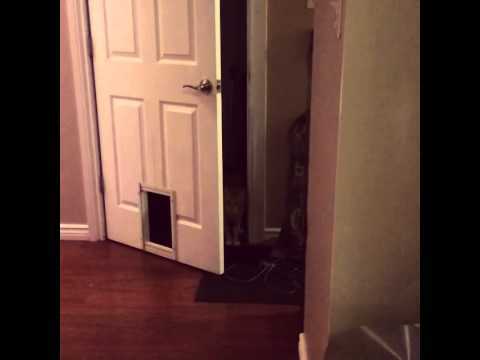 This cat’s just trying to prove how smart it is to its owner and doesn’t give a crap about the cat door left for him. Instead, he does what every cat does: shows off. 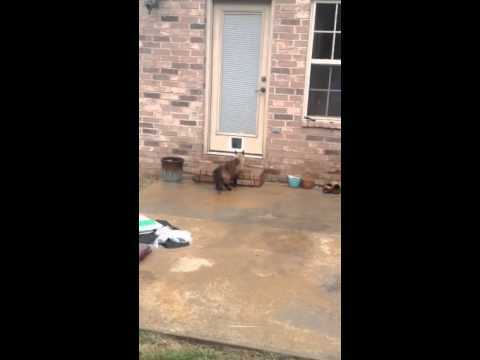 This cat’s smug and takes pride in his ability to demonstrate just how independent he is. Thank you very much. Serves his owner right for buying the cat something to makes its life easier.